?What causes ?the shakes” after drinking a lot of alcohol? ?Why do dogs walk in circles before lying down? 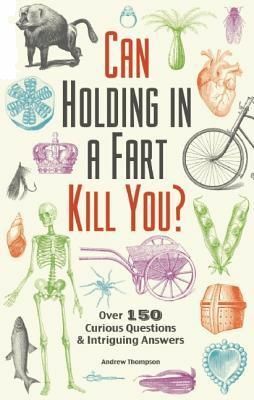 The follow-up to the bestselling What Did We Use Before Toilet Paper?, Can Holding in a Fart Kill You? has even more fun and fascinating trivia. Perfect for the ever-curious trivia lover, this book is the ultimate in truly extraordinary information. From silly to serious to outright bizarre, this expansive collection offers surprising answers and unexpected facts on everything from history and science to pop culture and nature. From the everyday to the fantastical?it's all here.